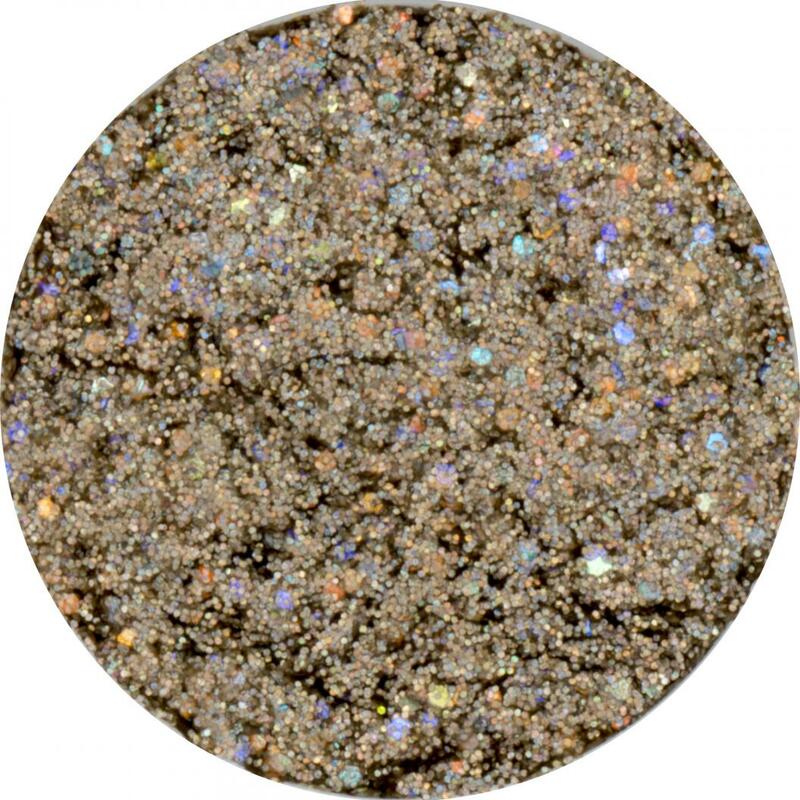 Glitter Cremes are our newest glamour makeup creation. They were designed for high fashion makeup looks, and much to our surprise, give incredible coverage that also makes them suitable for body painting. When using as makeup, the best application tools are your finger, or a flat brush. We like using our Angled Eyeliner Brush. For large area application, a regular wedge makeup sponge works great. To remove Glitter Cremes, the fastest method seems to be just wiping with a paper towel. The product base is waxy, like a lip balm, so it comes off well with a good wipe. Any remaining residue can be washed off with soap and water or your regular makeup remover. This is not a water-proof, smudgeproof type of makeup, but it does hold up well for most applications. We are currently offering this in a 7g jar, but we intend to release a professional size 30g jar in mid-December for body painters, and possibly some new colors as well. 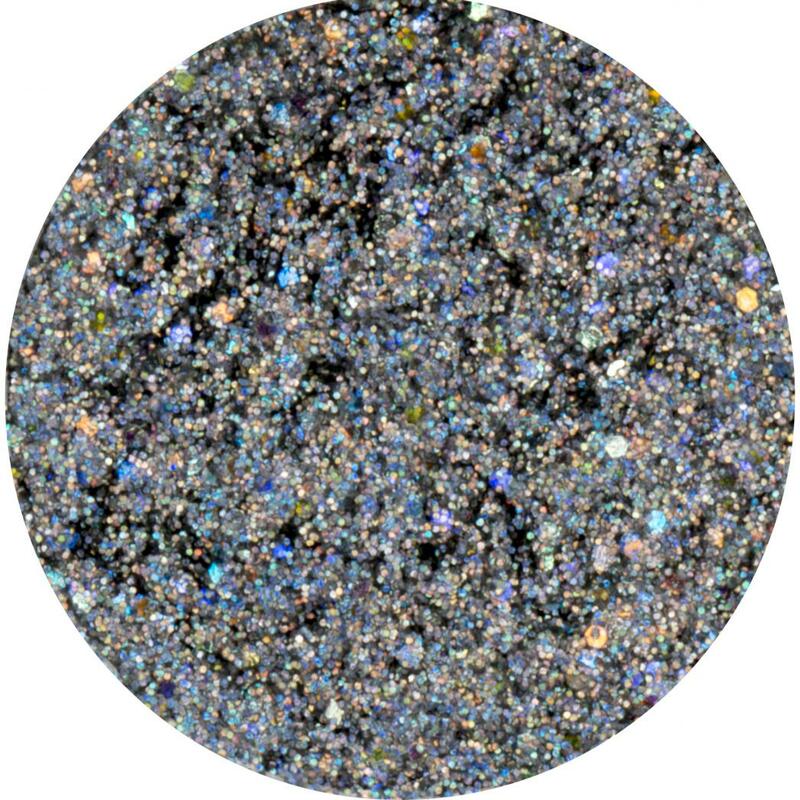 Our current line is created with our regular glitters, but in the near future, we intend to create a few biodegradable glitter options as well. Keep in mind that colors may appear different on a computer monitor than they do in real life. We understand that glitter color can be very important. If you have a project that requires precise color, we encourage you to order a sample first as glitter is not returnable. 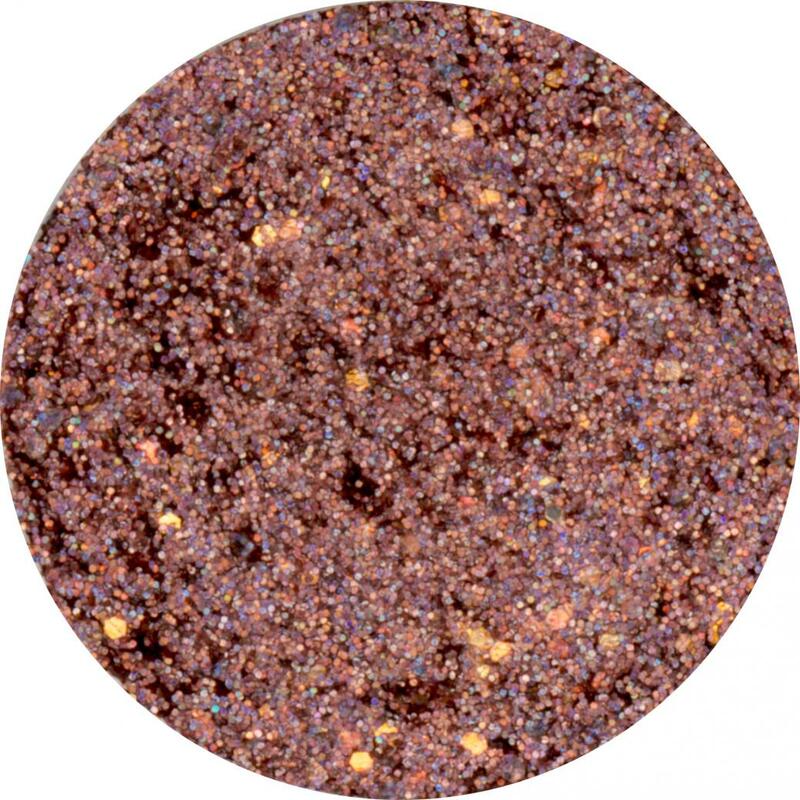 Glitter cremes contain mostly .008" hex size glitters, which are considered eye-safe by industry standards. But they do contain a pinch of .025" hex glitters to add some extra dimension. Our .025" hex glitters are made from the same polyester material and cosmetic-safe pigments as our ultra-fine cosmetic glitters. However, please use professional discretion when using larger glitter particles on the face. They should not be used near or on the eyes of children who may be prone to rubbing their eyes. 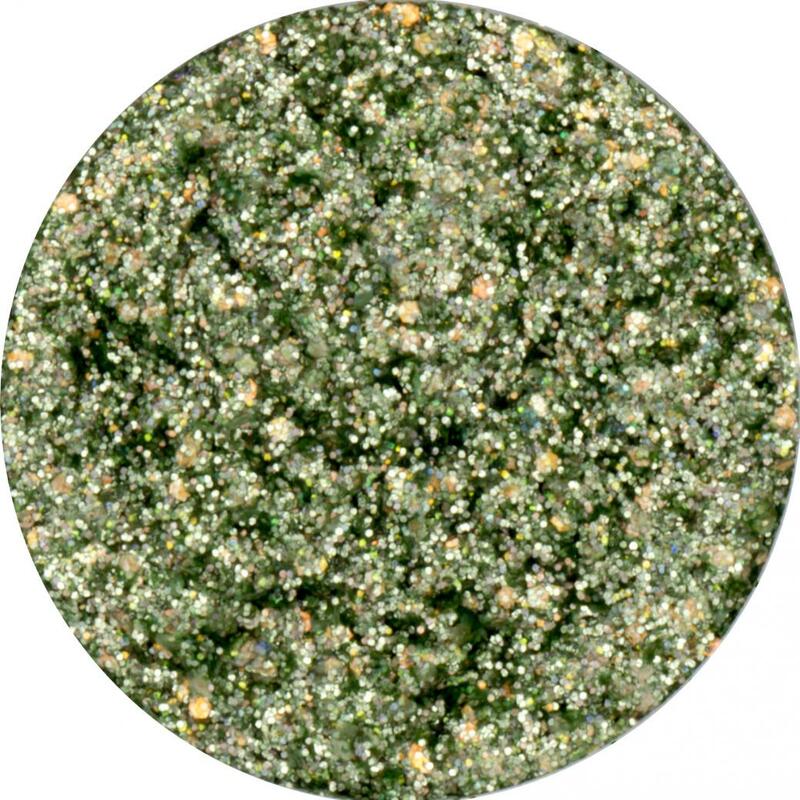 This is an easy melt & mix base for making your own glitter eyeshadows. Simply melt the base in your microwave (approximately 20 seconds) and mix in your favorite cosmetic glitter. We've been experimenting with it quite a bit and find that a 50/50 ratio (by weight) of glitter and the base works best. Visually, it will look like more glitter than base. You want your mix to be somewhat dry, but not totally crumbly. You'll be "patting" it into the jar, rather than pouring it. 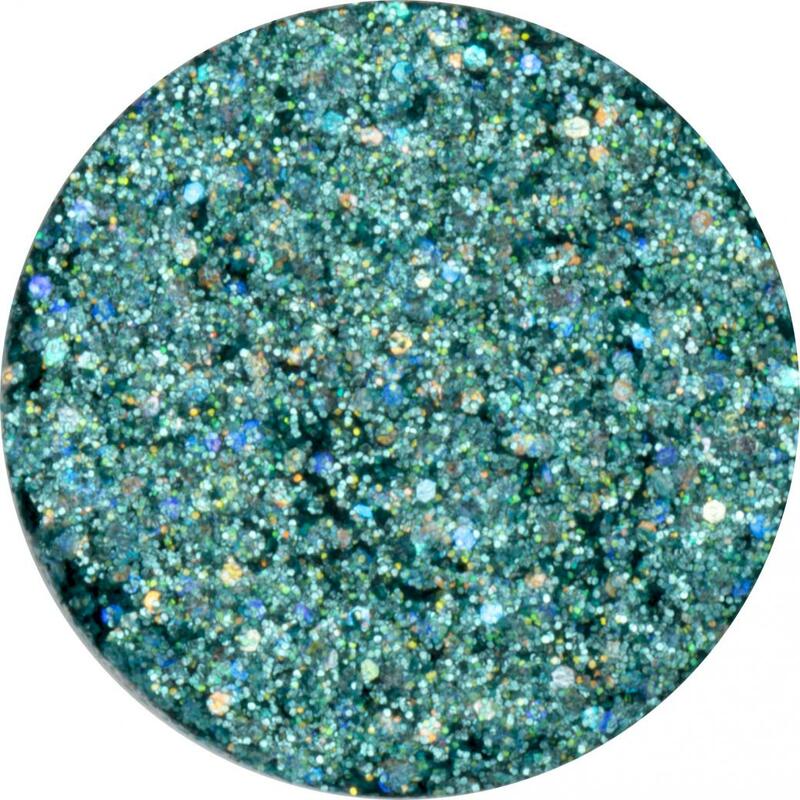 To apply your glitter shadow, the glitter can be brushed on with a flat brush or dabbed on with your finger. It can be layered if you have any gaps. You can also mix in mica powder to create a creme eyeshadow, but you may want to add a little titanium dioxide to make it more opaque.